I don’t know anybody who does not need more storage. This is one of those pieces that is easily worked into any room inside any home! BrylaneHome is your one-stop shop for everything you could need for your home from bed linens to appliances to furniture. They are here to make your shopping experience easier by only having to shop at one place and having it all delivered right to your door step! 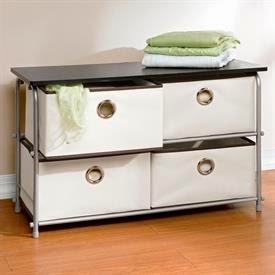 This spring they want to help you get your home organized with their 4-Drawer Storage Wardrobe. Whether you need to organize your closet or your kids, your craft station, or bathroom, this is a welcomed edition in any household. Read We’re Parents!? full review HERE. 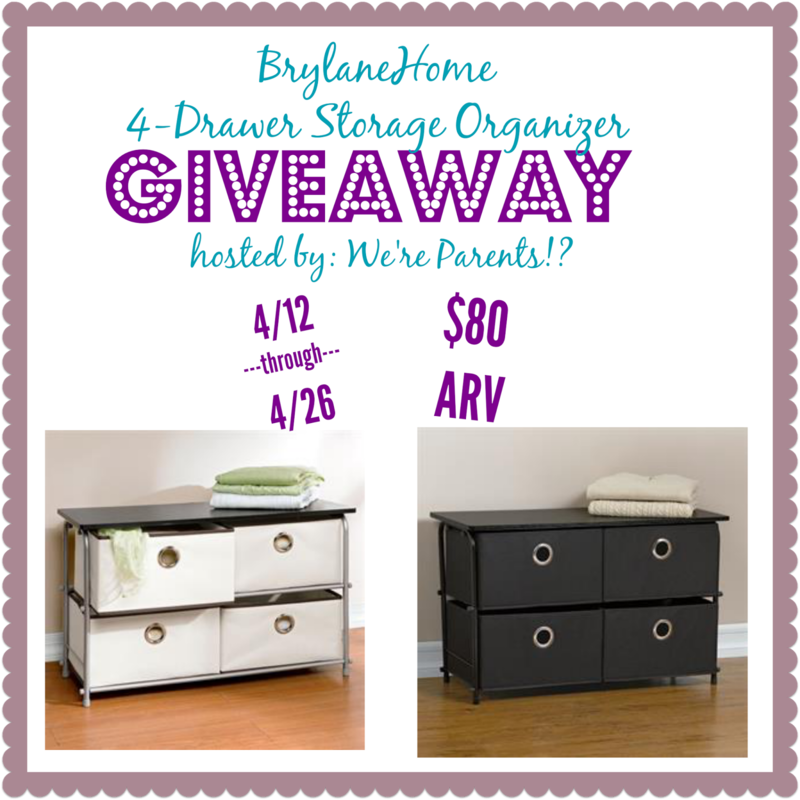 One lucky reader is going to win their own BrylaneHome 4-Drawer Storage Wardrobe! Open to US residents, ages 18+ and ends on 4/26 at 11:59 PM EST. Disclosure: We’re Parents!? and this blog are not responsible for prize fulfillment/shipment. We’re Parents!? received this product to facilitate this review, but did not receive compensation. Participating blogs did not receive compensation for promoting this giveaway. Social media sites are not affiliated with this giveaway. i would someday like to get the toaster oven–it would be right up my alley!! I would love to have the Folding Resin Table and Bench from Brylanehome! Extra Wide Textured Vinyl Outdoor Cushioned Recliner | Plus Size Outdoor Collection | Brylanehome that is something I’d love to have.